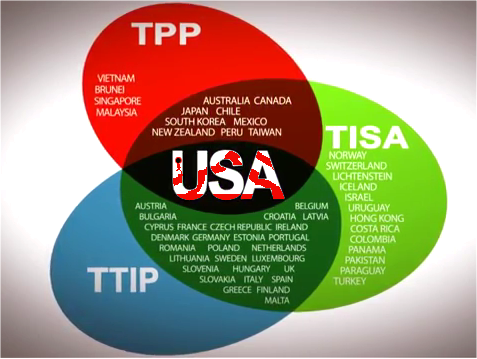 The TTIP scandal is a secret, corporate-friendly treaty being pushed by American trade negotiators. It parallels the TPP and TISA, and future generations will be shackled - unless it's stopped. But how to argue or debate without detail? The text is kept secret and under guard. Crowdfunding's raising money to Liberate the TTIP text. Help Stop TTIP, TPP + TISA. or send the TTIP text via that site and earn €100,000.